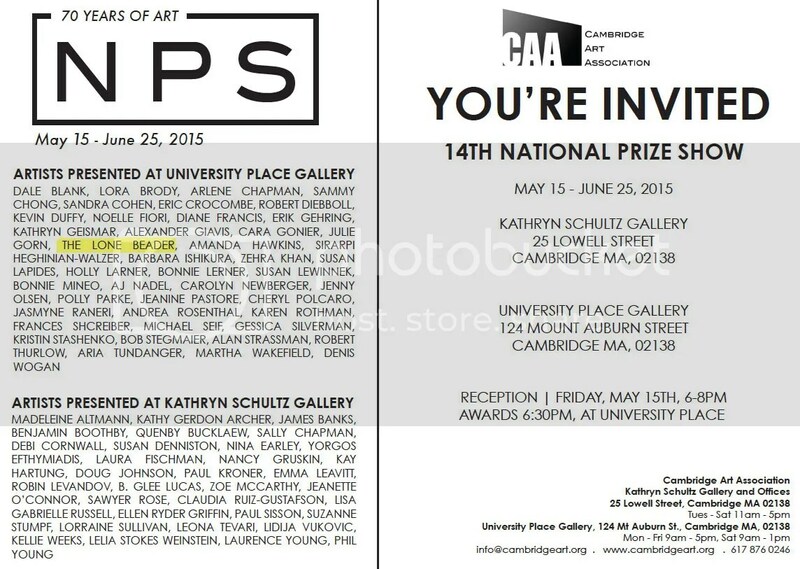 Artist Reception this Friday in Harvard Square, Cambridge! 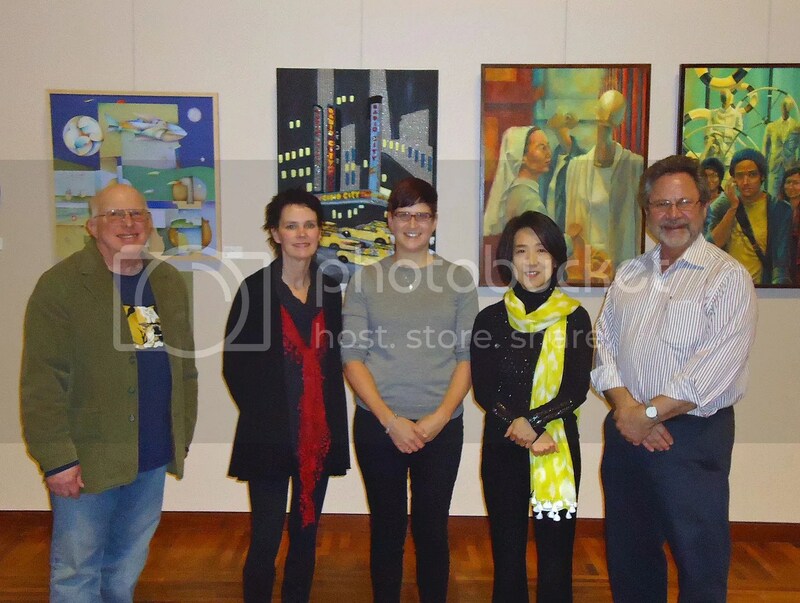 Cambridge Art Association’s 14th National Prize Show! 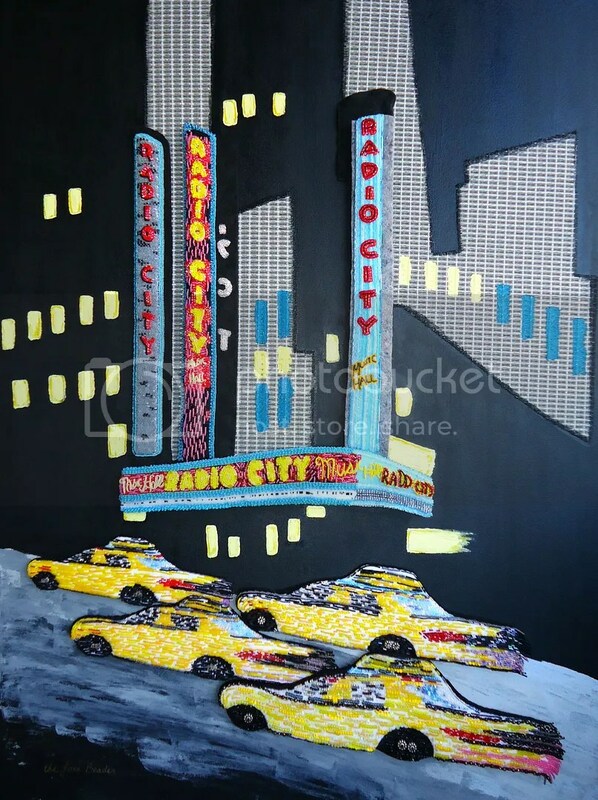 ‘Radio City’. Handsewn beadwork on canvas. 40″ x 30″. 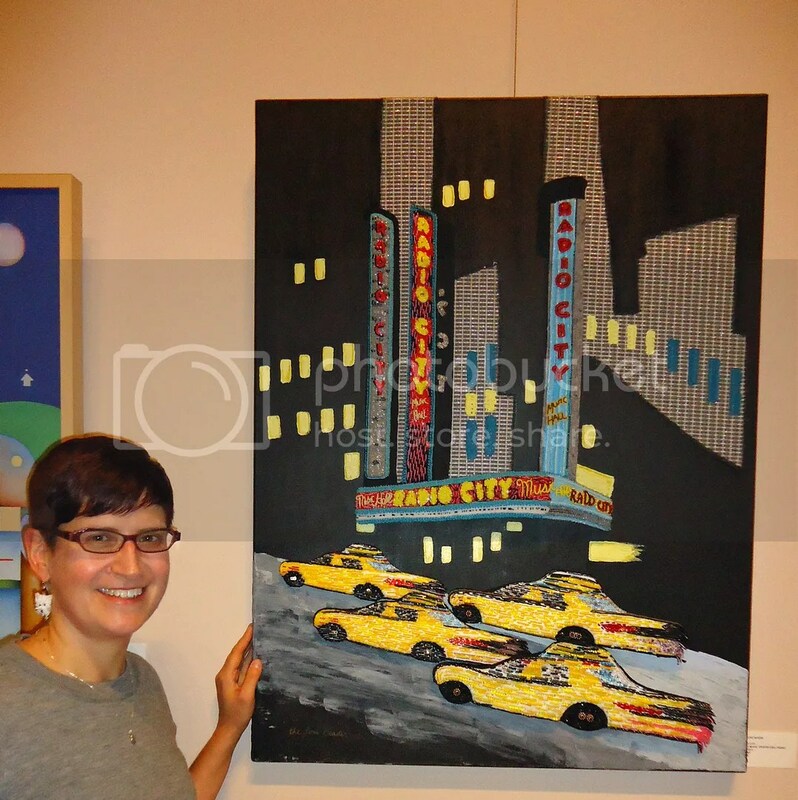 Today, I am thrilled to announce that my largest beaded painting entitled Radio City has been juried into Cambridge Art Association’s 14th National Prize show. Honouring the vision of Michael Rush, Founding Director of the Eli and Edythe Broad Art Museum, Michigan State University. 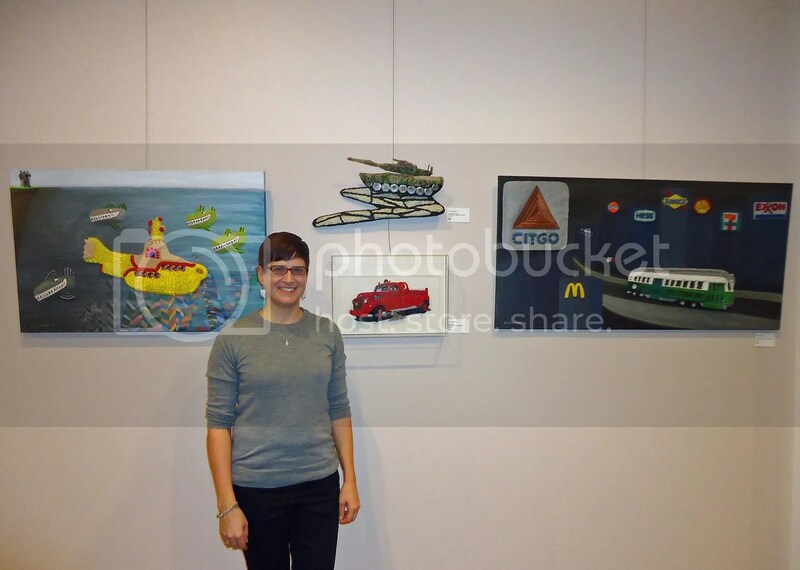 With work selected by Caitlin Doherty, Curator & Deputy Director of Curatorial Affairs at the Eli and Edythe Broad Art Museum, Michigan State University. 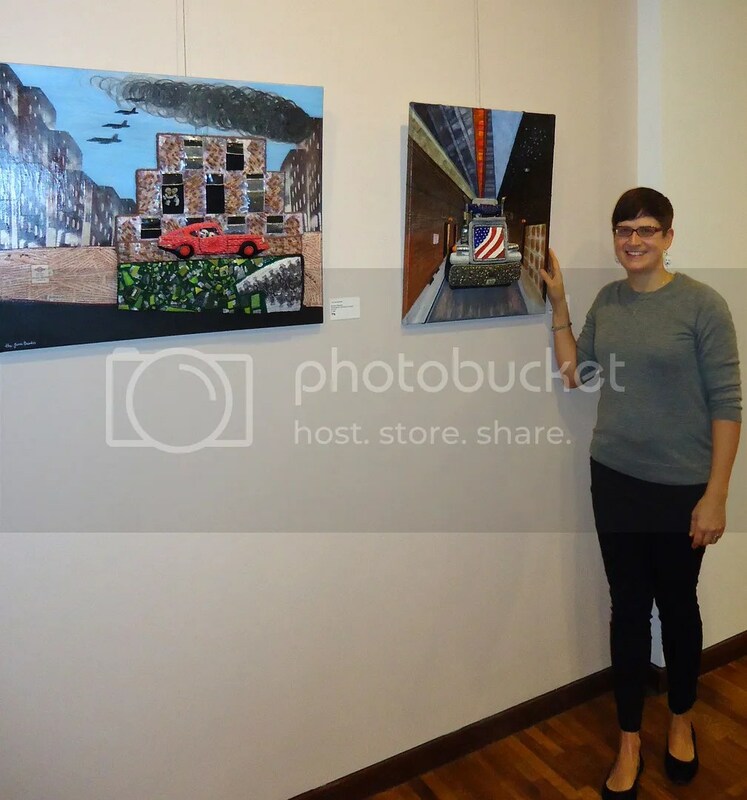 The National Prize Show will feature artists working in all media and styles. 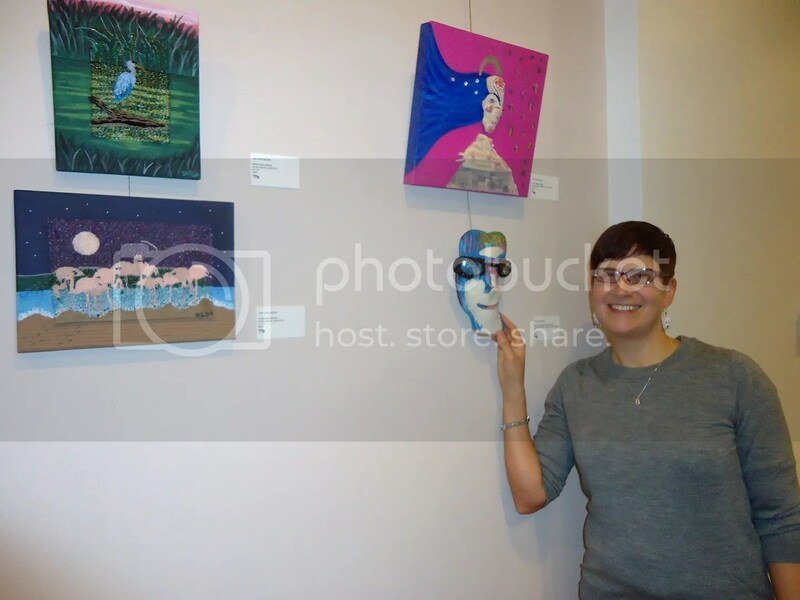 Exhibition runs May 15 – July 25th, 2015. 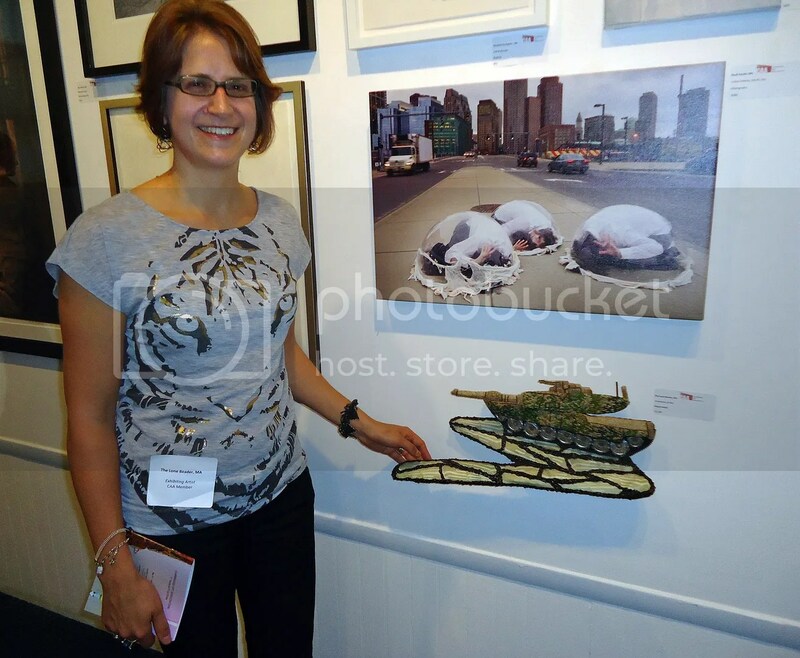 Today, I am thrilled to announce that my beaded military tank entitled Imminence of War has been accepted into Cambridge Art Association’s 11th National Prize show. Juried by Clara Kim of the Walker Art Center in Minneapolis, The National Prize Show will feature artists working in all media and styles. Exhibition runs May 31st – July 5th, 2012. Hours: Monday through Friday 9:00am to 6:00pm • Saturday 9:00am to 1:00pm. Awards given at 6:30pm at University Place Gallery. 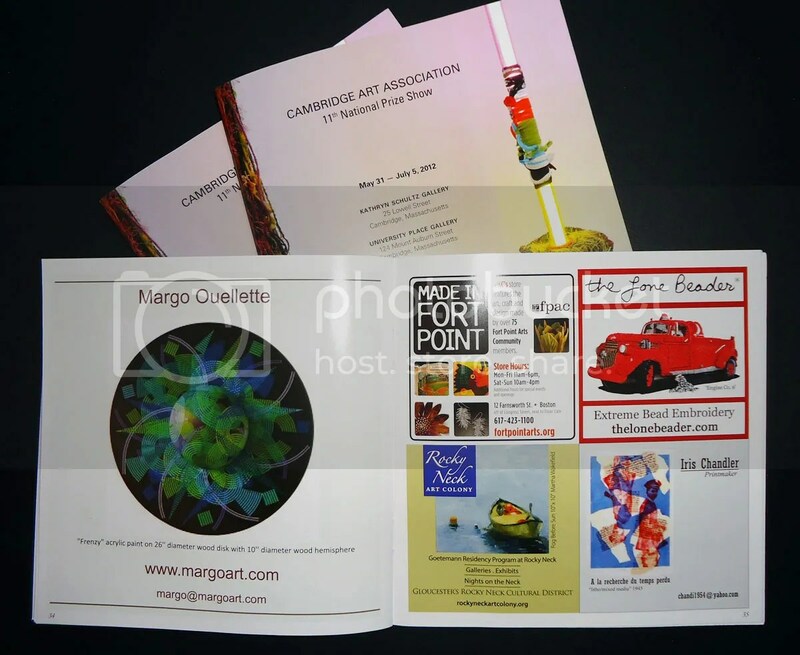 Please check the Cambridge Art Association‘s website for more info.